Valentine’s Day is almost upon us, and during this special time of year, it’s a great idea to plan something unique and romantic for you and your partner. 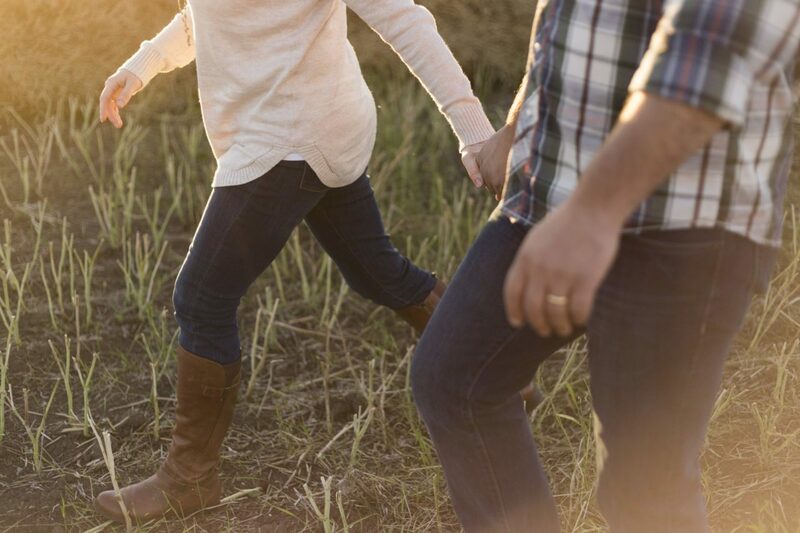 Not only will it be a great way to show them what they mean to you, it’ll also be the perfect time to carve out some much needed ‘you’ time – a day dedicated to celebrating your love and enjoying one another’s company. From cocktail classes to a visit to the South Stack Lighthouse, Anglesey has it all when it comes to planning a loved-up day out. When people think of romance, making cocktails isn’t usually at the top of their list, but for something a little different, taking part in a cocktail class at Prohibition Wine and Champagne Lounge is the ideal romantic activity with a bit of fun and creativity. With its 1920s decor and atmosphere, this modern and sophisticated bar is a great spot for romance to flourish. Their cocktail masterclass is £20pp and includes two cocktails. And if you really want to take this romantic activity to the next level, why not opt for the Cocktail Master Class, afternoon tea AND a glass of Prosecco package? You’ll soon be wondering why you and your partner haven’t done something like this before! An oldie but goldie, there’s something quite special about wandering along a sandy beach hand in hand with your soul mate. As the waves lap gently at your feet and the sand winds its way between your toes, the refreshing coastal breeze will ruffle all of those everyday troubles away, carving time especially for you and your partner. To make it extra special, pack some nibbles and champagne and kick back, watching the sunset on another spectacular day of your relationship. 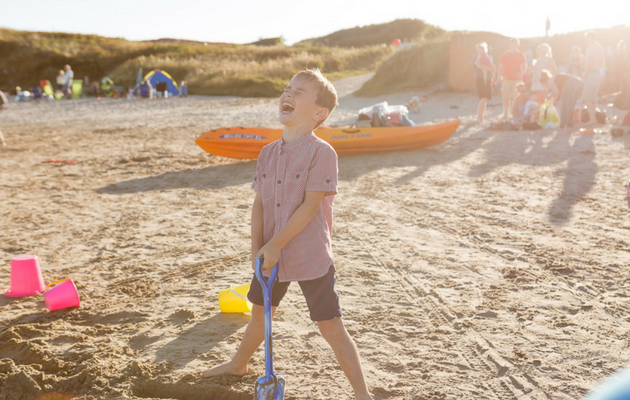 Silver Bay Beach is the perfect place to do this on Anglesey. In fact, we’ve even won coast awards for it! Dating back to the Bronze age, it’s a fantastic place to explore if you’re curious about history and how this mine contributed to the rise of the shipping industry on the island. And as you wander across the beautiful Parys Mountain, you’ll be able to bask in the beautiful colours of the landscape, as well as the open mine itself. To find out more, explore their website here. 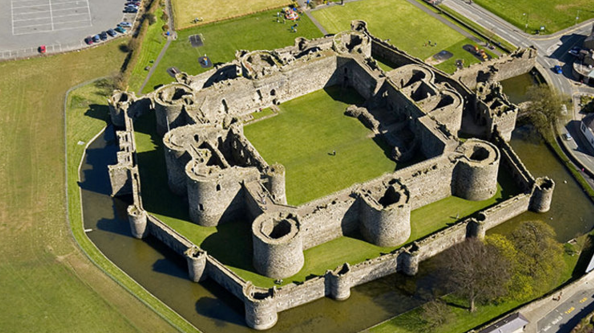 As one of the most dominant castles on Anglesey, Beaumaris Castle is the perfect romantic destination. The castle itself is actually unfinished and was built by English Monarch Edward I in 1295. This Medieval-Edwardian structure is a delight to behold, and it’s the perfect spot to wander, immersing yourself in history and one another. Tickets are only £6 per adult – a fantastic price for a wonderful afternoon. So become one with your partner whilst exploring the history of something grand, beautiful and opulent with a date at Beaumaris Castle. Just as walks along the Anglesey beaches offer spectacular views, so too do our picturesque woodlands – and nowhere is this more evident than The Dingle Nature reserve. Spanning 25 acres, you’ll find a wide range of animals living in these woods including red squirrels that have recently been reintroduced to the area. Wander amongst the stunning oak and ash trees, or lose yourself amongst the blankets of bluebells that come to life during the spring. There’s a leaflet all about the reserve here. So print out a copy and explore the island and start planning your romantic date. Creating the perfect date is all about creating memories that will last, and what better way to do that than by experiencing horse riding together? Feel like the kings and queens of times gone by as your parade around on your steeds, learning how to master horse riding side by side. 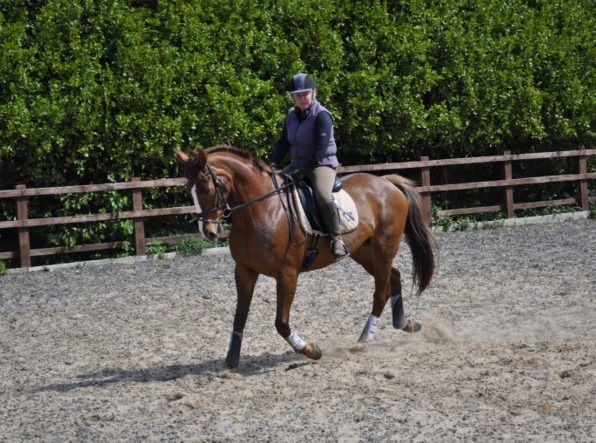 Just as much about the surroundings as it is about the animal, a trip to Anglesey Riding Centre will see you trotting around the coast like royalty in no time at all. Available to those both keen riders and those new to the hobby, prices start around £12.50. Why not take to the seas on your romantic day out? With Puffin Island Cruises, you’ll be able to sail around Anglesey taking in the beautiful sights. Specialising with views of the striking Snowdonia and Puffin Island itself (which is home to more than 12 species of bird! ), this cruise sets sail from Beaumaris Pier. You can head down to their kiosk at the pier to book tickets or call them on 01248 810379. You can also do it online here. Prices start from £8.50, and if you and your loved one are keen photographers, there’s also a wonderful Photography Cruise available too. If you and your partner love a spot of shopping, then James Pringle Weavers is the perfect Anglesey hotspot to indulge in some retail therapy. Selling everything from clothes to tasty spirits, to homeware to local Anglesey treats – including their famous sea salt – you’ll be spoilt for choice. There’s even a lovely little cafe on site selling a range of sandwiches and sweet treats perfect for a light lunch. Plus, you can pick up some great treats for your beach picnic later in the day. If you’ve been to Anglesey before, then you’ve probably come across this classic island staple – the South Stack Lighthouse. Located on a small summit just off of the mainland, the lighthouse offers a lovely afternoon out. Take the 400 steps to the island itself and enjoy the striking scenery whilst breathing in the fresh sea air. It really is something special. If you do decide to head down, make sure you check the weather prior to leaving. As it’s an island, it can sometimes be closed if the weather conditions aren’t right. Tickets cost £5.50 per adult and the last admittance is at 4pm. Going for ice cream isn’t just a pastime for children, it also makes for a wonderful date venue. 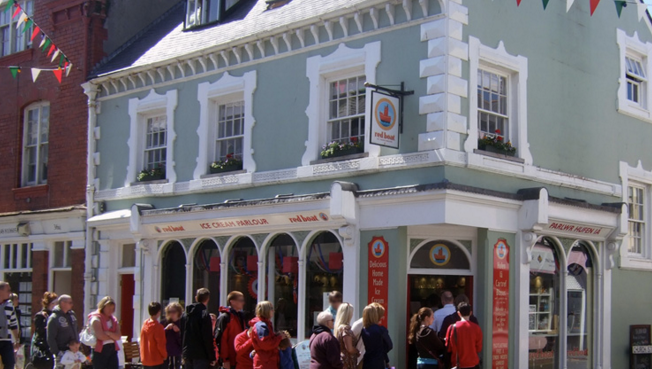 The Red Boat Ice Cream Parlour is a popular stop for both tourists and locals, specialising in creamy gelato ice cream usually found on the streets of Italy. And it’s no surprise it’s so good, one of their owners, Tony, was trained in ice cream making at Carpigiana University of Italy! They don’t, however, stop at ice cream. The parlour also specialises in yummy cream teas, sandwiches and coffees. All of this is matched alongside a modern yet relaxed environment, making it the perfect place for love to blossom. If you’ve been inspired to take your loved one on a special date on Anglesey, let us know! You can find us on Facebook, Twitter, and on Instagram too!